Many of Bonaire's visitors wish they could relocate to this diver's paradise. Perhaps that's because at Buddy Dive, the accommodations have all the amenities of home. Studios, hotel rooms, one-, two- and three-bedroom apartments with fully-equipped kitchens and spacious living areas provide the perfect environment to relax and recharge. You're never more than a moment's walk from the resort's three pools, two restaurants or seaside pool bar. 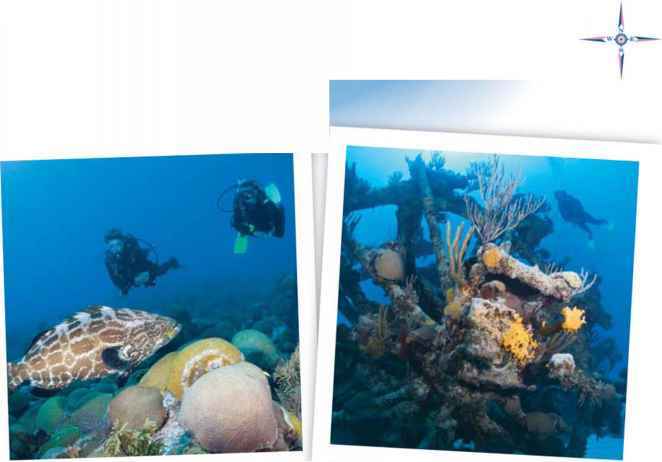 Bonaire's fringing reef makes diving here infinitely easy. Ten kicks off the beach divers will find the riches of the island's legendary marine park. Buddy Dive's onsite dive facility offers a full range of services and instruction, including a drive-through dive shop complete with air and nitrox fills for those who want to rent a vehicle and take advantage of some of the 60 officially-listed dive sites accessible from shore. 1. An aerial view of Buddy Dive Resort 2. Al fresco dining over the electric blue waters 3. 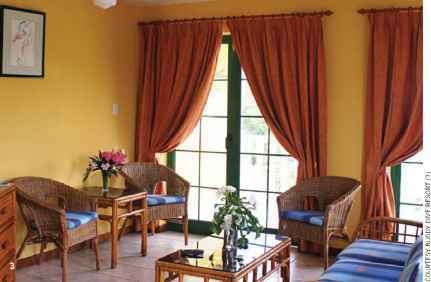 Rooms feature spacious living areas foot dive boat) provide plenty of elbow room. Currents are almost nonexistent and visibility hovers around 100 feet, ensuring relaxing bottom time. Divers can also join excursions to Town Pier and Salt Pier, absolute must-dives. Diving isn't the only adventure to be had on Bonaire, and the resort's activity center serves as a hub for excursions such as biking, kayaking, fishing and parasailing — even amateur spelunking. Lush gardens and private patios create a relaxed atmosphere and elevated sand beaches are a proven attraction for sun worshipers. Buddy Dive also offers comprehensive children's programs, so the kids will feel right at home, too.